Hunters Creek is a planned community the majority of which originates in the 1980-1990s. It is home to four elementary schools 2 middle schools and one high school which reflects its desirable family based neighborhoods. It is home to 23 lakes of varying sizes as well as 50 different neighborhoods. 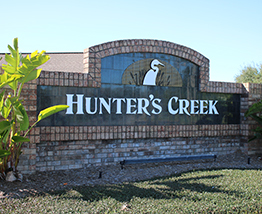 Hunters Creek is still under development with new communities due to its popularity. If golf or fishing, for which Hunters Creek is well served, is not your top priority then there are many theme parks close at hand. Gatorland is only 0.5 miles from the Hunters Creek Golf Club, Sea World is 15 minutes away, and Walt Disney World is only 14 minutes away, with Universal Studios only 27 minutes away. The Orlando commute is only 26 minutes away making Hunter Creek very appealing as a home. Hunters Creek is based in Orange County which offers is own host of places to go within easy reach. The desirability of Hunters Creek is reflected by the average house prices and the rise last year. Property values are on the rise with the median price in 2017 January being $272,100 rising 9.3% over the previous year according to Zillow. Currently Hunters Creek zip code is 32837. 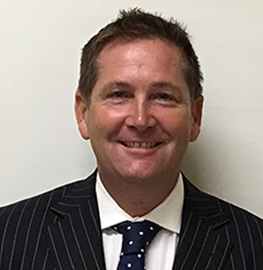 Hunters Creek offers many attractive neighborhoods so if you need a local market expert do not hesitate to call or email Paul@Walker.Realtor and I will be delighted to help.